During rehearsals and whilst reflecting on the process of learning to be a better orchestral player, I came up with the idea of creating a (slightly tongue-in-cheek) ‘guide’ for musicians on how to play in an orchestra – for my first attempt, see below. –Turning pages: it’s really annoying when your desk partner turns a page either far too late or too early, ie turning the page before you’ve had time to read to the end of said page, including any rests that come right before the turn (this is an issue particularly when you are leading a section and you need to *actually count* them!) I know I have been guilty of this in the past – sorry…. 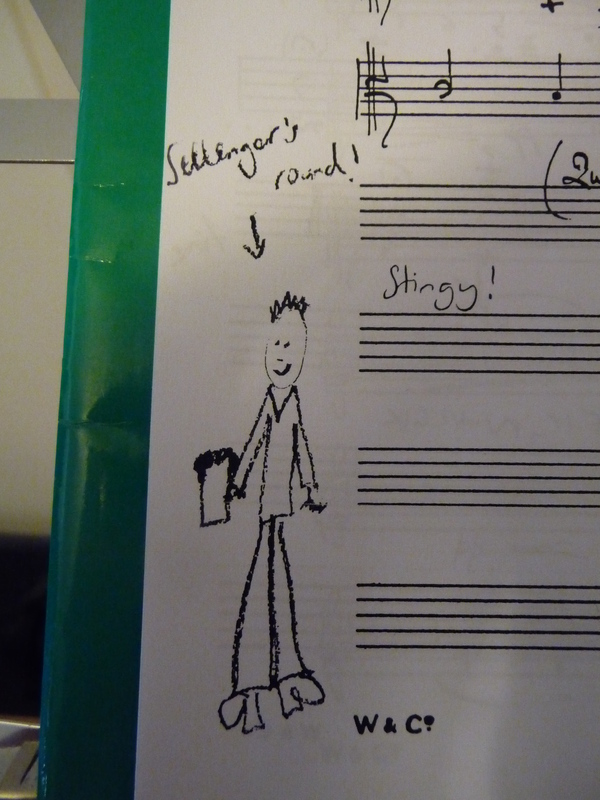 “Sellenger’s Round” cartoon closeup – stingy!! –Tuning (or playing) your instrument while the conductor is trying to say something important/people are rehearsing – there are times when this is necessary eg when your instrument goes out of tune in a hot room, but there are times when it isn’t! –Playing really loudly when it is marked pp or ppp and everybody else in the orchestra is quiet – I do this quite often, especially whilst sight reading, and it makes me cringe every time I do it! That’s all I can think of now… Goodnight! 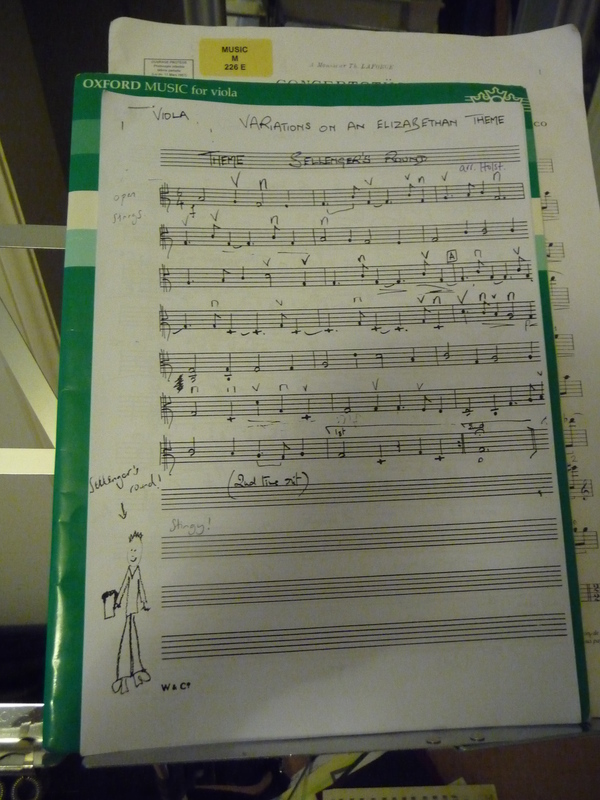 This entry was posted in gigs, reflective practice journal, RSAMD, viola playing and tagged humour, orchestral playing on March 17, 2011 by jesswyatt.